21 March 2016 - Welcome to our new booking in systems! The sharp-eyed among you will have noticed that since the end of last year a number of new gadgets have arrived in our waiting rooms! We have been listening to your feedback and we have some excellent new and modern solutions for you. "It's frustrating to have to queue up behind people booking appointments just to tell reception I am here when I already booked an appointment"
We Listened and installed "I am here" stations in our waiting rooms - so that you can touch a screen and tell us you have arrived without having to queue up at reception. We have been busy integrating them into our clinical computer system and testing them. Thank you to those people who have helped us test this new system. It might have teething problems. Most people that have tried it - LOVE it. You can still speak to our lovely receptionists if you want! 1. Please use the hand-sanitiser provided. 4. 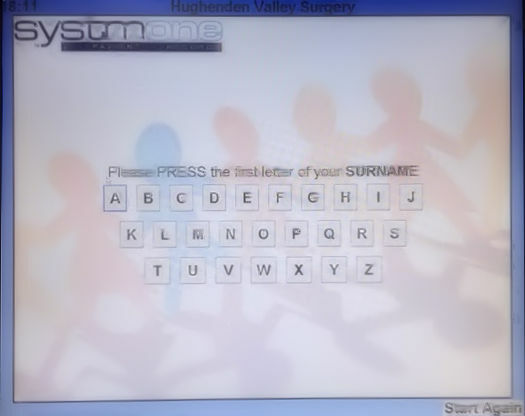 Next it will ask you to touch the FIRST LETTER of your SURNAME, and display the alphabet. Just touch the box showing the FIRST LETTER of your SURNAME. Remember, you do not need to enter your whole name. 5. 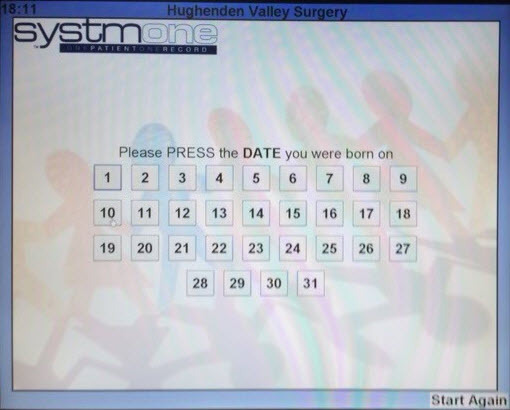 Finally, it will ask you to touch the DATE you were born on, and display the numbers 1 - 31. 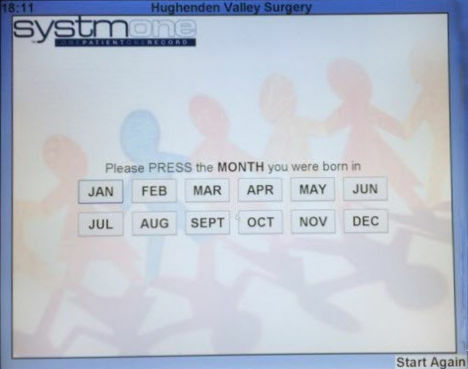 Just touch the box showing the date of your birth. And that's it you are booked in! 6. 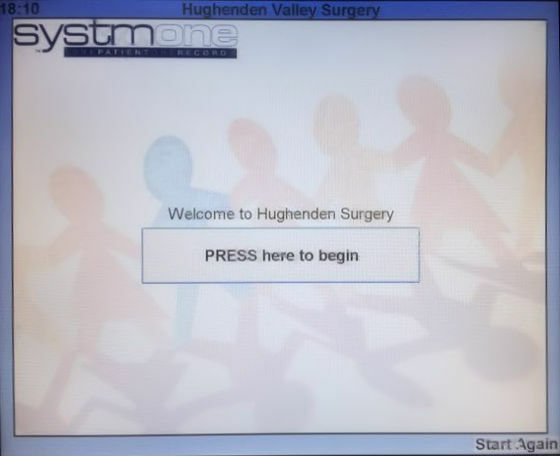 If you have any problems at all, simply press the "Start Again" button. Which appears at the bottom right of every screen. Once again, this is an ADDITIONAL OPTION for those who do not wish to queue up. Our receptionists are not going anywhere and are always happy to help.